Recently, I had released Scrim Email Saver Plugin for bbPress and Stef asked me if a WordPress version existed for the same. 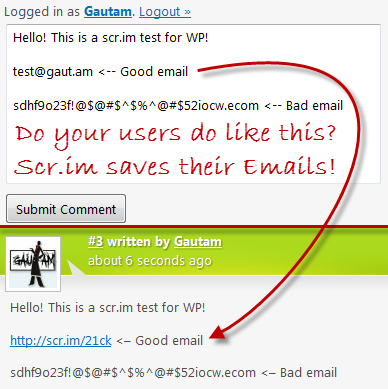 Today, I am releasing Scrim Email Saver Plugin for WordPress which filters your blog’s comments for Email IDs and converts them into Scr.im links so that your users’ Email IDs do not get picked up by bots and they receive less (if not zero) spam. Scrim is a service made by Ozh. 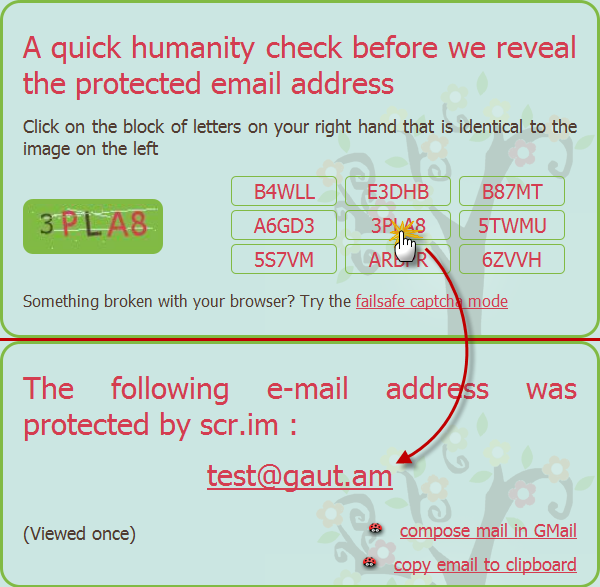 To scrim is to protect your email address before sharing it so that only real people will use it. You can read more about scrim on its about page.